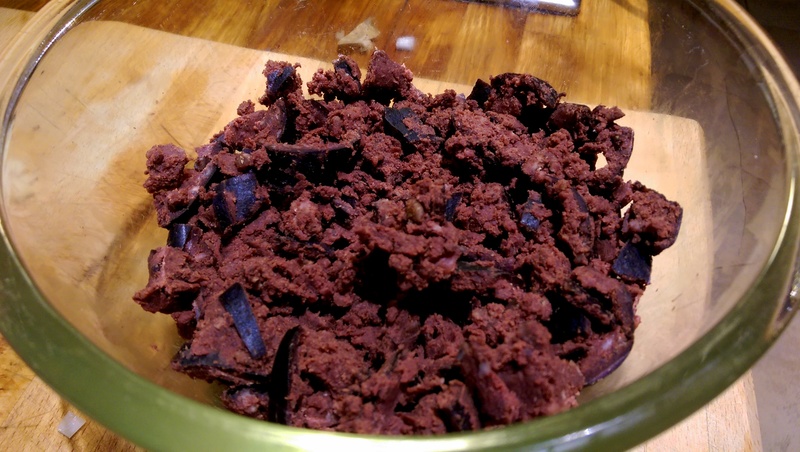 In any case, Black Pudding is an incredibly affordable meat product, especially when bought from a supermarket butcher’s counter. All in all I made 4 portions for about £3.50 total. 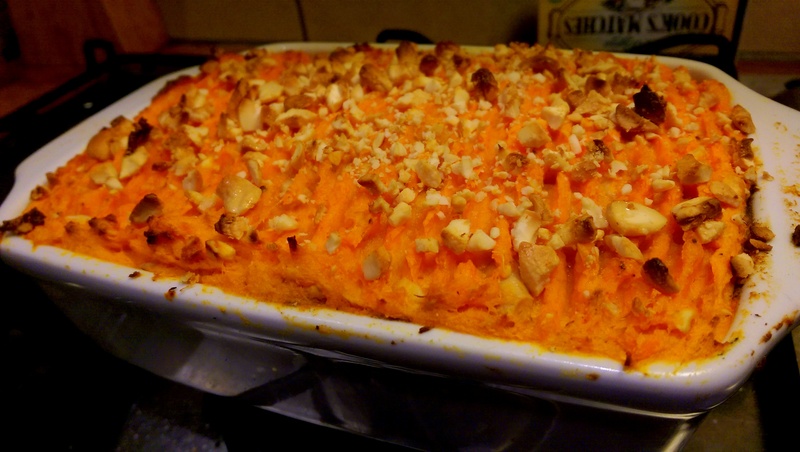 And that delicious rich taste of the sausage combined with the mellow, sweet potato and cream is absolutely gorgeous. Slice your sweet potato and add to boiling water. If necessary, skin your sausage and slice into small pieces. Crumble into a bowl (you can use a food processor if you would prefer.) It just needs to be a rough, loose mixture. 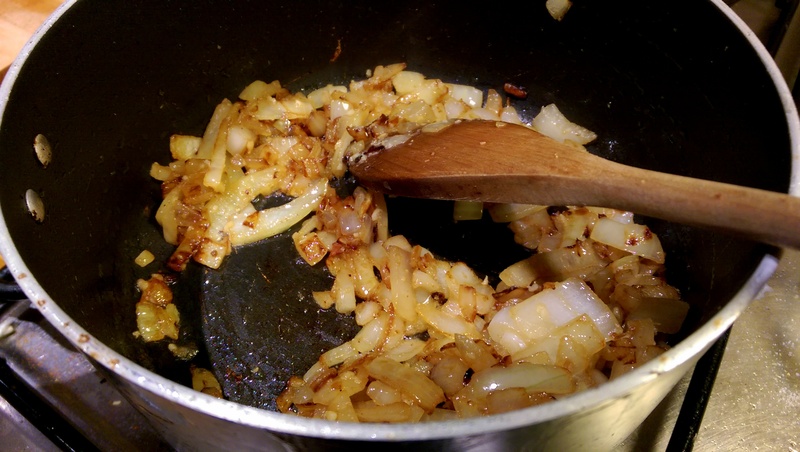 Melt some butter in a saucepan and add some chopped onion with a sprinkling of salt. 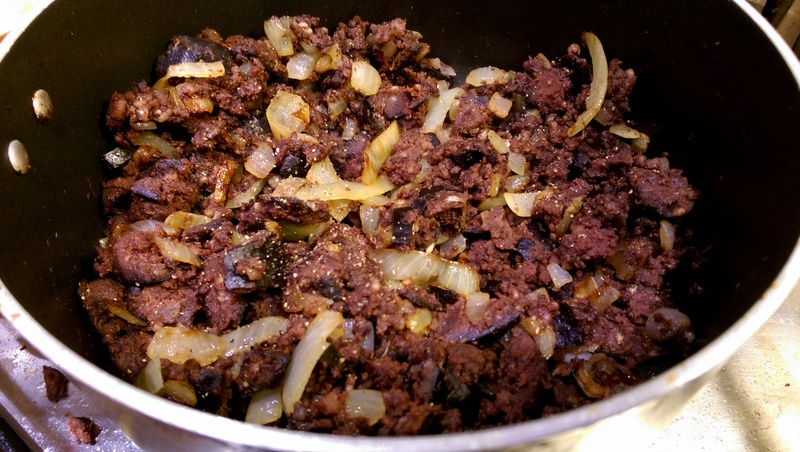 When the onion has browned, add the black pudding and fry, stirring frequently, for a further 7 or 8 minutes. 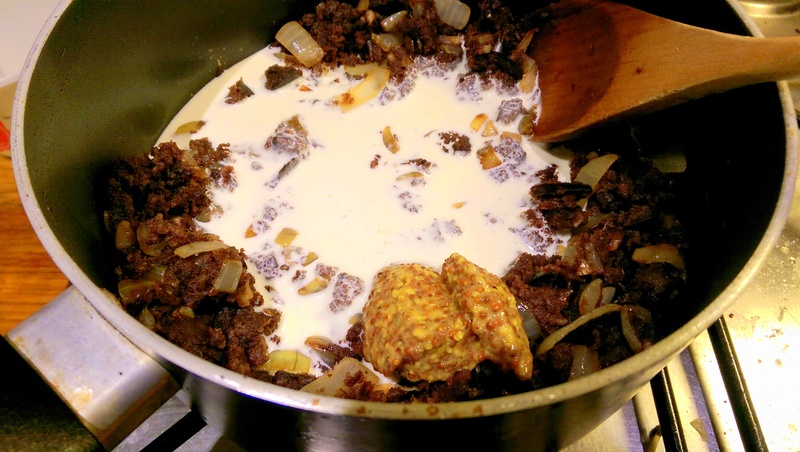 Add a dollop of mustard (preferably wholegrain) and a cup or so of cream. Stir, taste for seasoning and add to a casserole dish. 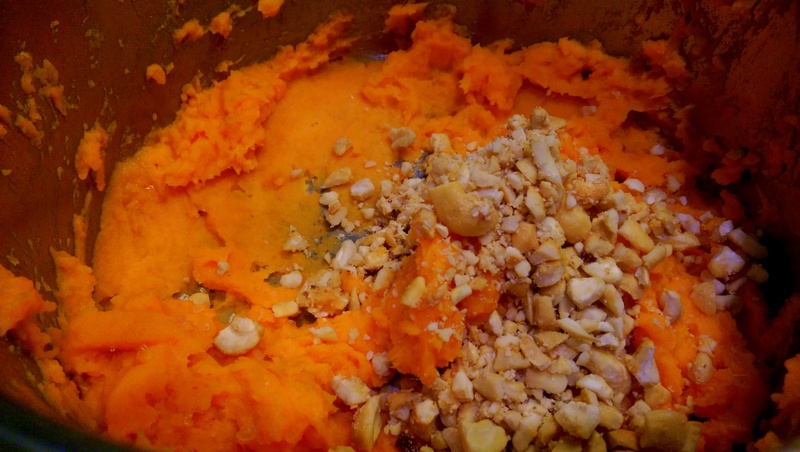 Drain and mash the sweet potato. Mix through a knob of butter and I think it’s nice to have something with a bit of crunch, so I went for cashews. Top the black pudding and drizzle over a little oil/melted butter. If you’re feeling extra naughty grate over some cheese. Place in the oven until the potato has started to brown and crisp a little. I served with a little extra mustard for tasting, atop a crunchy apple to add even more sweetness to counteract the supreme savoury richness of the filling. 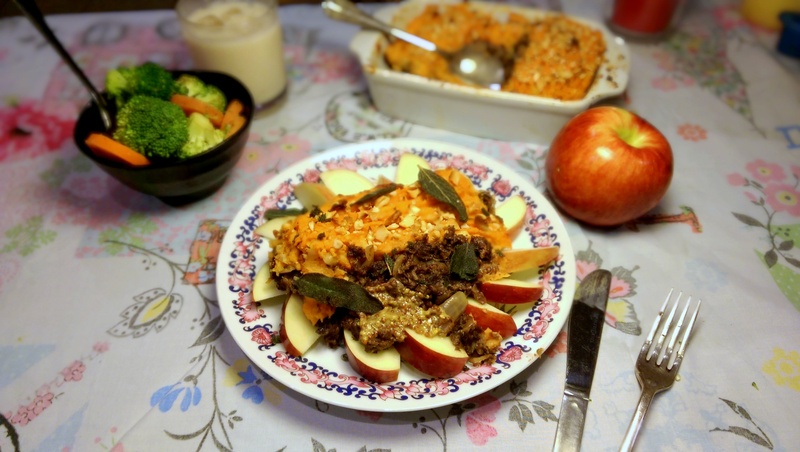 Posted in Guesscipes, Mains, One Pot, PorkTagged bake, black pudding, casserole, christmas, food, guesscipe, pork, potato, recipe, scottish, shepherd's pie, sweet potatoBookmark the permalink.